The Student Loan Unemployment Deferment Program can be a life saver if you’re having trouble making your monthly payments, and this program remains fully-funded for 2016. Deferments are basically a pause button for your loan, giving you time off from making payments so you can build up funds, find a better job, renegotiate for a higher salary and establish some savings. 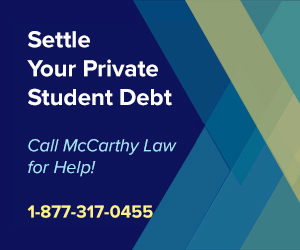 One thing to keep in mind, however, is that defaulted student loans are not eligible for deferments, so as soon as you start having trouble making your monthly payments, be sure to put in that deferment request. The best news about the unemployment deferment program is that you don’t have to actually be unemployed to use it. In fact, you’ll count as “unemployed” simply by working less than 30 hours per week, or by working at a job that isn’t expected to last more than 90 consecutive days. So, as long as you work part time, or in a temporary position, it’s likely that you’ll be able to qualify to postpone your student loans. Route 2: You are “diligently searching for full-time employment” (a job with at least 30 hours work per week, and which is expected to last for at least 90 days), which you can prove by showing that you’re registered with either a public or private employment agency. It’s simpler, and far easier, to get your loans approved for an unemployment deferment by choosing the first path listed above – proving that you’ve eligible for unemployment benefits (and are thus, actually unemployed). If you do take the second route, keep in mind that when your first 6 month deferment period ends, you’ll only be able to qualify for a second one by proving that you’ve made at least six “diligent” attempts to land a full-time job within the last six months. Also, and this is important – if you’ve never worked before, then you won’t be able to qualify for the first route, but you can still qualify for the second one. So, if you’ve just graduated college, and never had a full-time job, but you need a student loan deferment, you’ll have to apply with route 2. How Long Can I Postpone Paying My Loans? That depends on the type of loan you have. Federal Direct Loans are eligible to be postponed for up to 36 months. How Long Is Each Deferment? Even though we mentioned above that you’ll be eligible to defer your loans for 2 or 3 years (depending on when the loans were disbursed), you can only defer them for 6 months at a time. After your 6 month unemployment deferment ends, you’ll have to reapply, following same procedure you did for the first cycle. It’s a bit of a pain, but being able to pause your loans for 6 months without making a single payment is entirely worth the hassle of filling out a little paperwork. What if I Find Full Time Employment? Unemployment deferments use the honor system in one way that’s a little risky, and could land you in some serious hot water if you don’t tell the truth. Once your unemployment deferment request has been approved, it becomes your responsibility to notify the lender if your employment prospects change. Meaning, if you start working more than 30 hours per week, or you start working at a job that is expected to last more than 90 consecutive days, you’d better contact the lender to stop your deferment, or you’ll eventually get hit with a bill for the missing payments, interest, and possibly penalties. Do I Still Need to Make Interest Payments? We’ve got great news on that front (for some of you). The bad news is that if you’re deferring an unsubsidized loan, or a PLUS loan, you’ll be responsible for any interest accrued while your loan is in deferment. 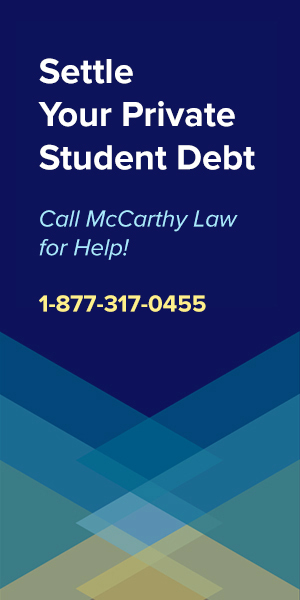 Our recommendation is to continue making interest payments, even while the loan is in deferment, because failing to do so will lead to having your interest capitalized (added to your principal balance) at the end of the deferment period, which will make your monthly student loan payments higher than they were before you started deferment. How Do I Apply for the Unemployment Deferment? Fortunately, this part of the process has become incredibly easy since it can be done entirely online here. Or, if you’re an old school type who wants to fill out an actual paper form, you can download the unemployment deferment application in PDF format, here, then print it out and do it by hand. Once you’ve filled out the required unemployment deferment forms, send them to whoever services your loans (the group that you make payments to), so they can be processed. It can take a few weeks for the deferment to go through, so don’t stop making your monthly payments until you’ve been told that the deferment is in place. Are There Other Deferment Programs Available? Even if you don’t qualify for the unemployment deferment, don’t give up hope, because there are so many deferment programs available that virtually everyone with a loan will qualify for a deferment of some sort. You’ll find a comprehensive list of available deferment programs at our page about them, here. 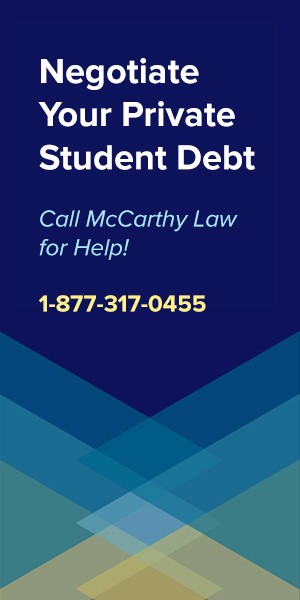 If any of this is confusing, or if you’ve got other questions about deferments or any other student loan topic, please feel free to ask away in the comments section below. I’ll do my best to get you a response within 24 hours. Alternatively, consider checking out the Government’s official help site for student loans by visiting www.studentaid.ed.gov. If this page’s content helped you, then please consider helping me out by sharing a link to it with your friends, family or colleagues. 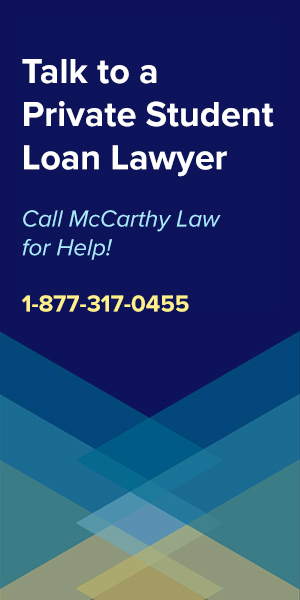 I do not take money from debt consolidation companies or shady student loan lenders, so I really do rely on your help to get the word out that this site exists. The more people that visit my site, the more time I can dedicate to writing content like this, and helping people like you save money! Thank you for visiting, and thank you so much for your support. Hello Tim, I have a student loan since 2010 worth about $11k. I know it’s not much compaired to some people but it is to me. I am currently unemployed. Since 2013 I have been in and out of unemployed due to getting laid off and I also had an accident and was stuck with a lot on medical bills and that’s when I started to fall behind on my loans. I really want to got back to school but my student loans are in default and have been since last year. I’ve read that I won’t be eligible for any more sudent loans unless I make 9 out of 10 consecutive payments. This year is the first time the fed gov took my tax refund. Is there anything I can do besides file for bankruptcy? Any advise would be a great help. Thanks in advance. Best options are filing for bankruptcy or attempting to get a Borrower’s Defense Against Repayment discharge. If you’re totally out of commission, the Total and Permanent Disability Discharge Program would be worth looking into as well (Google it, I don’t have a page on my site about it, but it’s a great benefit!). I owe money directly to the college I attended. I did not qualify for loans that year and had to pay out of pocket. The debt occurred in 2013, as of now it is 1,800. I am currently unemployed with four small children all under five, so I do not see myself being employed for a couple more years. I have recently checked my credit score and it has taken a major hit because of this. I have no idea where to start to resolve this problem! Ca you please give any advise you may have to help me! Unfortunately, it sounds like you’re going to need to work out a repayment plan with the school. 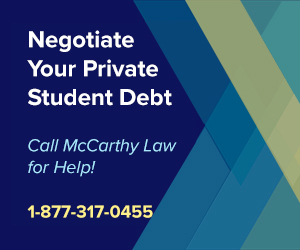 Ask them if they will offer some sort of deferment or forbearance, and see if they’ll let you negotiate a settlement for a lower amount of total payoff, or a small monthly payment that you can afford, so that you can start paying back the debt. You’re probably not going to qualify for any assistance packages since you’re not employed, and owe so little. $1,800 is very little in student loans… I’ve got people on here talking about needing to pay back $350,000 or more, regularly, and most of the forgiveness programs are really tailored to larger debts, or to holding an employment position in some specific field. As far as I know, there’s no benefit package for unemployed Moms, so you may be out of luck.